The jungle at Tambopata in Peru is one of the best preserved forest in the world, it’s also one of the places where you will see a widest variety of flora and fauna. In this article we will tell you everything you need to know about Peru Amazon tours and how to do it respecting the wild life and travelling in a responsible way. Many efforts have been made in order to preserve this natural gem. The nearest city, Puerto Maldonado, is small and happily the pollution hasn’t been a trouble, so it’s our duty to keep it that way. There are some native communities around the reserve, they belong to the Ese Eja ethnic group. They are divided between three different groups: Palma Real, Sonene and Infierno. The last one work with a private company offering different type of touristic services that allows the visitors to know in depth their culture, food, language, artistic representations and so on. If you want more information regarding this activities, contact us! Puerto Maldonado is not far from Cusco, so if you’re planning to visit Cusco, you can easily reach to the Peru amazon. You can either take a plane or a bus. 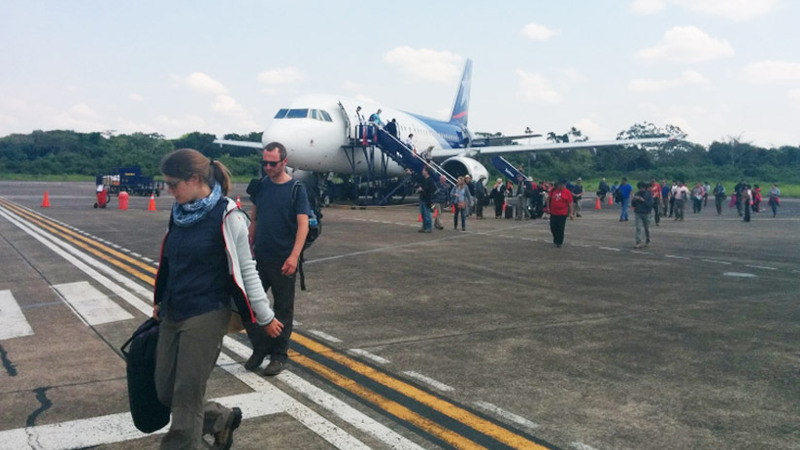 Planes take between 30 and 45 minutes to reach the Puerto Maldonado airport (PEM) from there, if you’re taking a tour with a lodge, the staff will pick you up and transfer you to their headquarters in the city. There, you will be able to repack your belongings and just take the necessary things for your jungle adventure. The bus trip from Cusco to Puerto Maldonado take between 8 and 10 hours. You can take an overnight bus and you will be in the morning in the jungle. If you pick this option, please be sure to find a reliable company, try to find for the references on the Internet and be aware of the signs that can tell you that this company is safe to travel with. The bus station is near to the center of Puerto Maldonado. If you have already booked a lodge for your stay, it’s probable that the process will be the same. But some lodges don’t pick up their customers from the bus station, so double check with them if you’re planning to take that option. 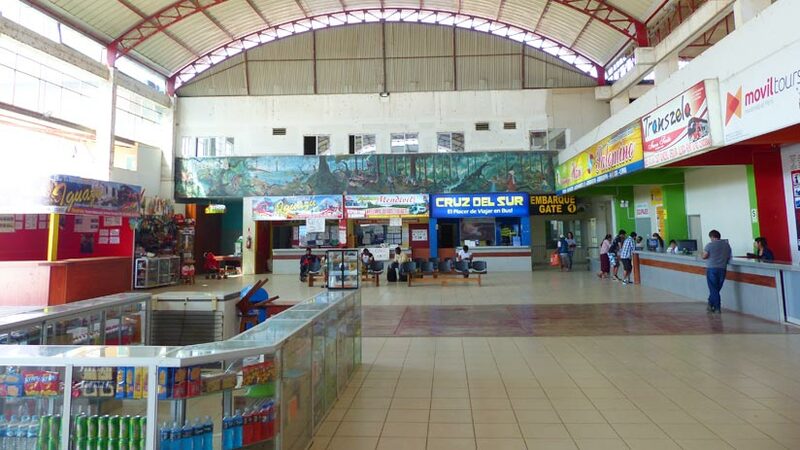 If you are going to search some nice place directly when you arrive in Puerto Maldonado, you can take a safe transportation from the airport or the bus station to the port. There, you will see some nice lodges that can offer you the accommodation and the tours. However, we advise that you search before and take your option comparing well all the lodges there. 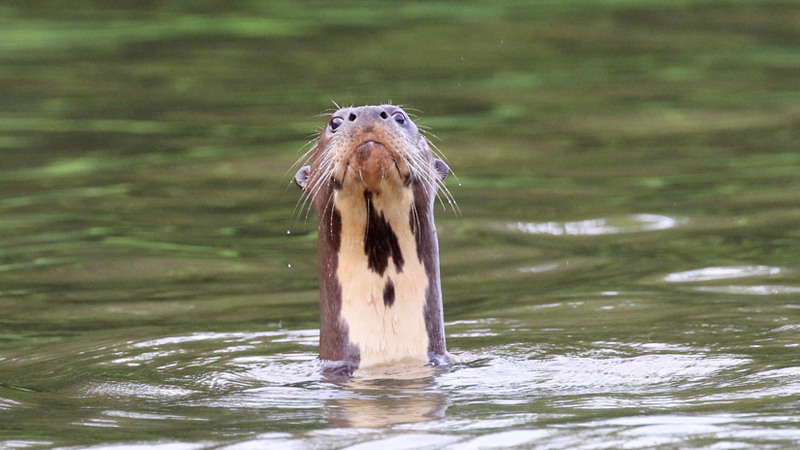 Some are located upon the river inside of the main Tambopata reserve. This experience will allow you to see more wildlife and fauna. 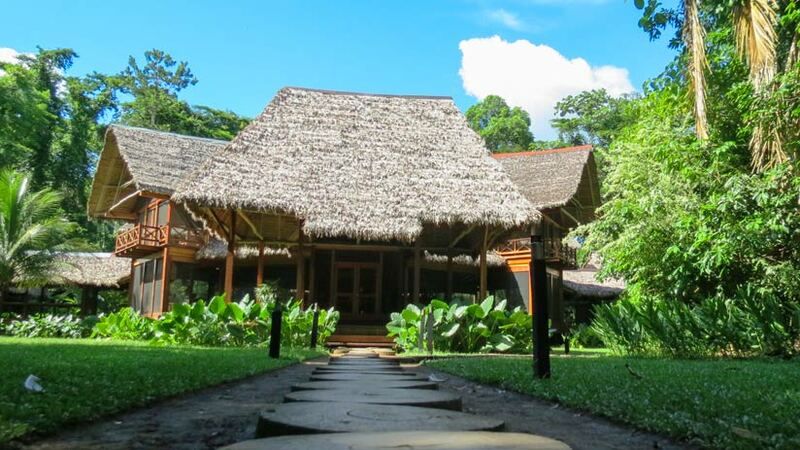 We specially recommend the Rainforest lodges and the Inkaterra ones. Here the options are countless! 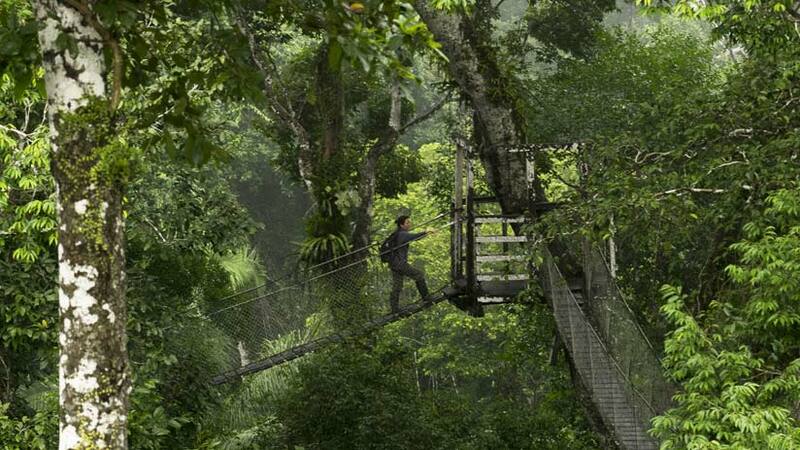 The virgin jungle of the Tambopata offers different kind of activities. One of the most popular is the bird watching. Some lodges have a canopy tower platform where you can climb and see the birds of Tambopata over the whole green forest. That’s certainly a magnificent spectacle. You can see the “shansho”, the Pale-vented Pigeon, the Purple Gallinule between many others. There are also plenty of options and walks to discover the cochas (lakes) and lagoons. One especially beautiful is the “tres chimbadas” one. There, you will be able to see a family of nutrias living in freedom. You might see also some monkeys playing around. The big turtles and the scary alligators will be there as well. As we have already mentioned, this jungle site has been protected by the community, the government and the companies that operates there. In order to protect the forest, we advise using organic nontoxic repellents and sun cream. We highly advise don’t bringing plastic bottles to the jungle and always bring with you your reusable bottle. Don’t ever leave your garbage in the jungle during the tours. Also, don’t touch the animals or try to catch them. We are at their home; we should respect it! If you want to know more about the Tambopata tours, you can always write to us. We advise reviewing our webpage, where you will find even more information. Peru Activities, Peru Travel Tips, Travel to Amazon amazon, family vacations, travel to peru. permalink.